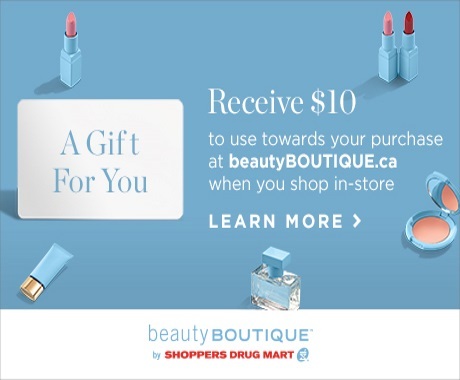 Shoppers Drug Mart Beauty Boutique has a new offer! Get a coupon card for $10 off to use towards your purchase at Beauty Boutique online you shop Shoppers in-store. Visit any Shoppers Drug Mart store and make a purchase from February 25 for a limited time to get the card. While quantities last. The promo code is valid online only until March 31, 2017. Plus at the moment, Beauty Boutique is offering a Free Guerlain 5ml mini fragrance with every online order! No promo code is needed.